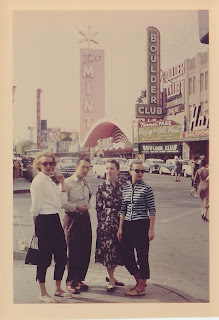 Fun Fact 2: People used to get really dressed up to walk the strip. And I'm not talking shiny suits and platform heels. Fun Fact 3: The Mint (behind those kooky hipsters) was the first stop for Hunter Thompson in his "Fear and Loathing in Las Vegas" jaunt. Fun Fact 4: I just read fun fact 3 on Wikipedia. I didn't actually read the book, let me just get that off my chest. I just discovered your blog, but I am majorly in love with it! 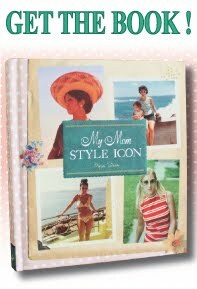 I may have to find some old pictures of my Mummy or my Grammy. i actually discovered this blog from rosie! LOVE IT! I love the sassy girl in the striped cardigan! Such sunglasses, I thought, only existed in my day-dreams! P.S. I love your blog so much, (and I've only begun reading it) I've added you to my blogroll!